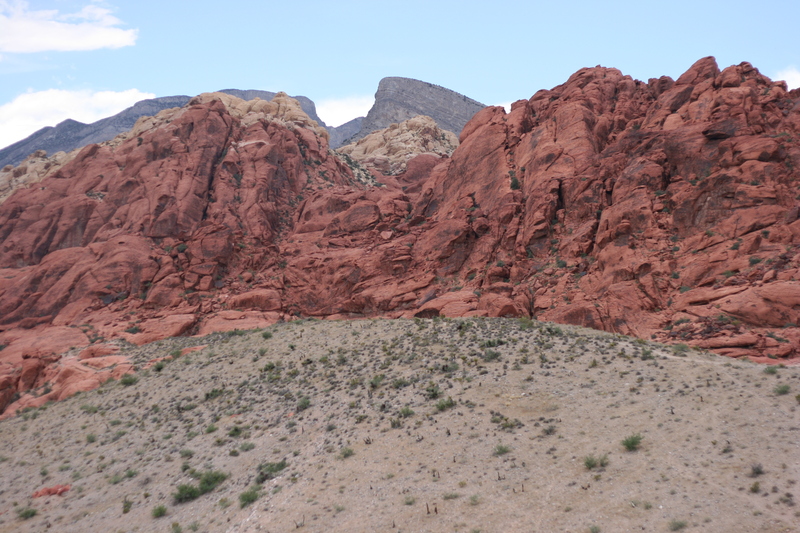 The second day my parents were in town we headed out to Red Rock Canyon to check it out. 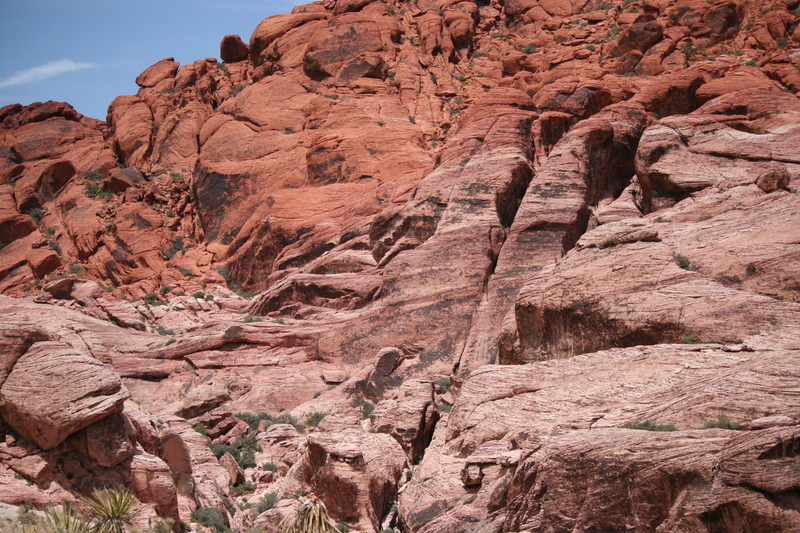 Red Rock is only about 10-15 minutes from my apartment and about 30 minutes or so (depending on traffic) from the Las Vegas strip. 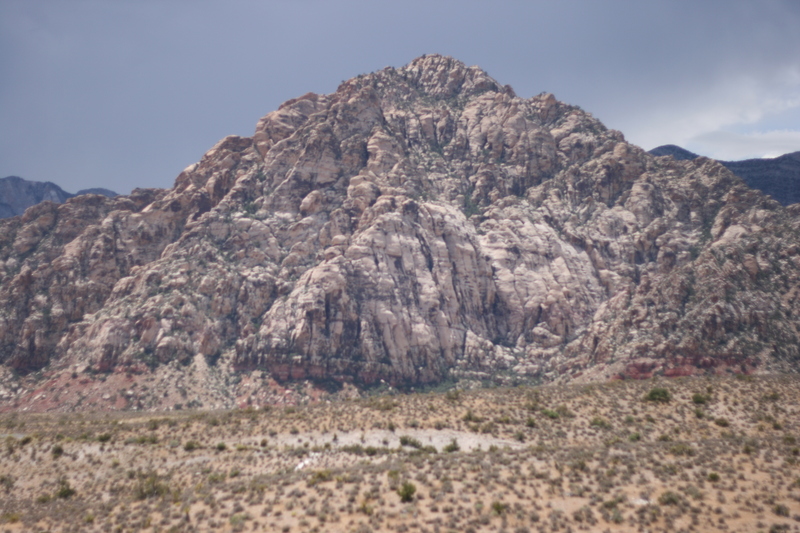 Red Rock is a national park area and it offers a 13 miles loop that you can drive or bike with hiking trails all around. 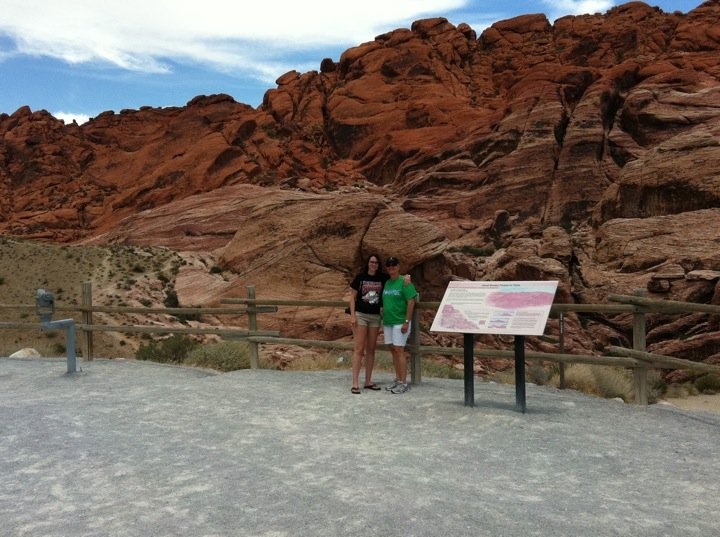 This was my first trip out to red rock, which is so crazy since I’ve lived here for two years. I was super excited to check it out since I got a digital slr camera last month and haven’t had a chance to use it other than taking pictures of my friends playing poker. 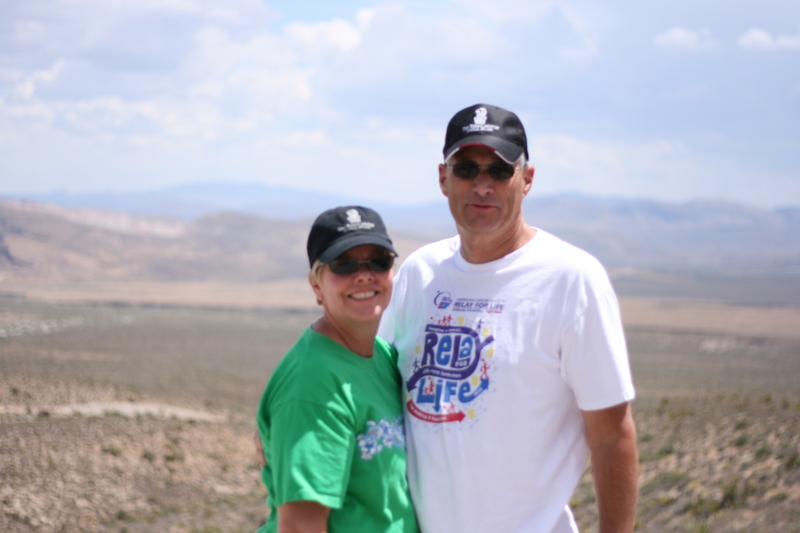 My parents and I rode through the loop and stopped at different view points along the way. 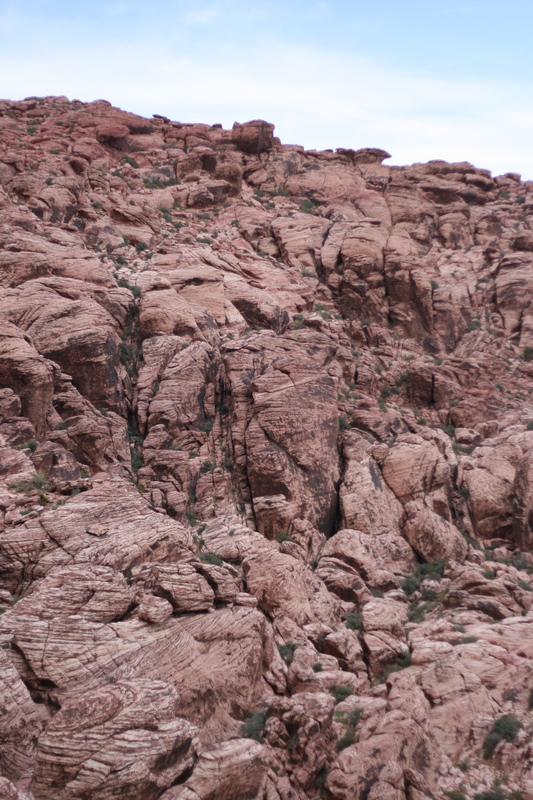 We didn’t do any hiking but I definitely want to go out there and try out some trails in the future. 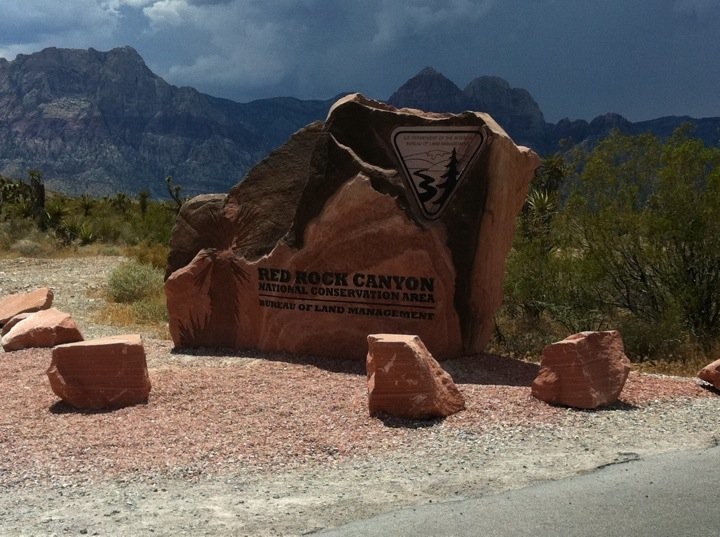 The sign entering Red Rock Canyon, check out the crazy clouds! The weather in Vegas was a lil crazy over the weekend. 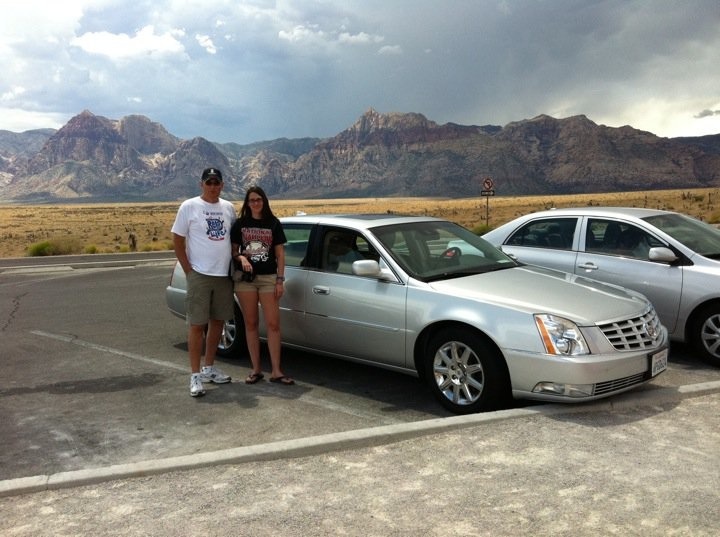 My dad and I, check out the cadillac my parents rented, it was pretty sweet. The above photos are from my mom’s iphone 4. 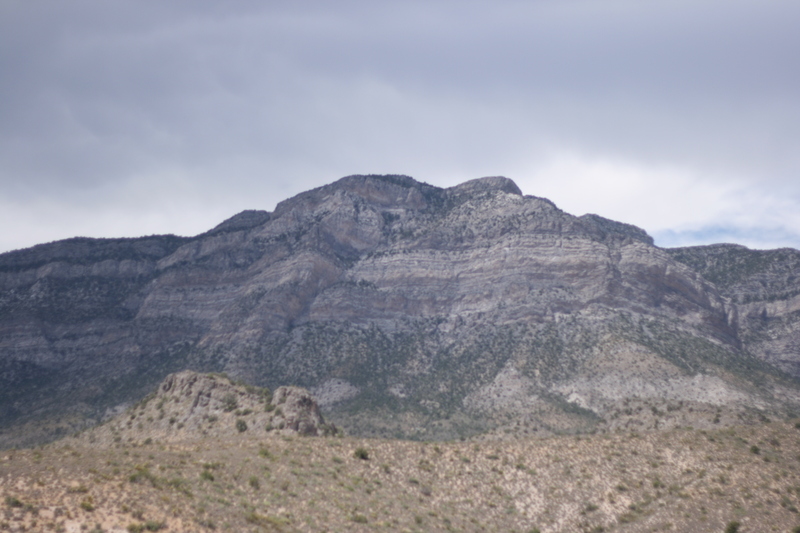 The next photos will be from my digital slr. It took me FOREVER to figure out the settings and lenses to use, but I think I did alright for my first outdoor photos. 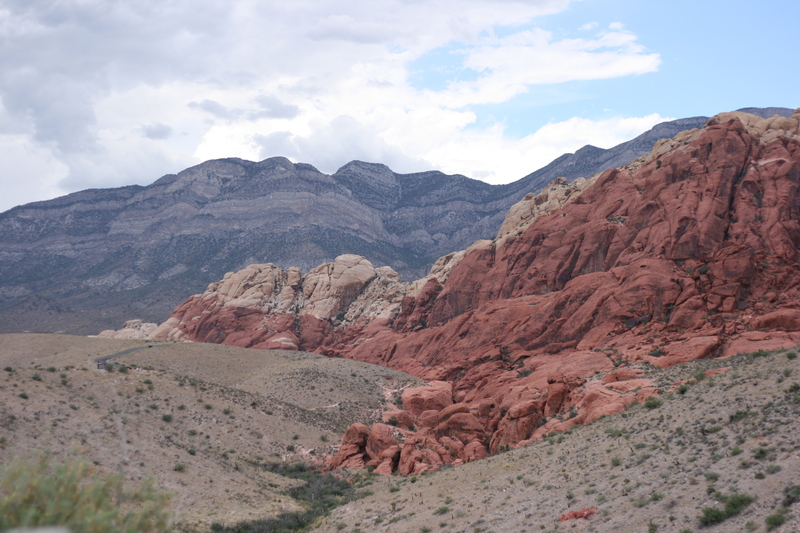 If you get a chance to check out Red Rock Canyon you definitely should! 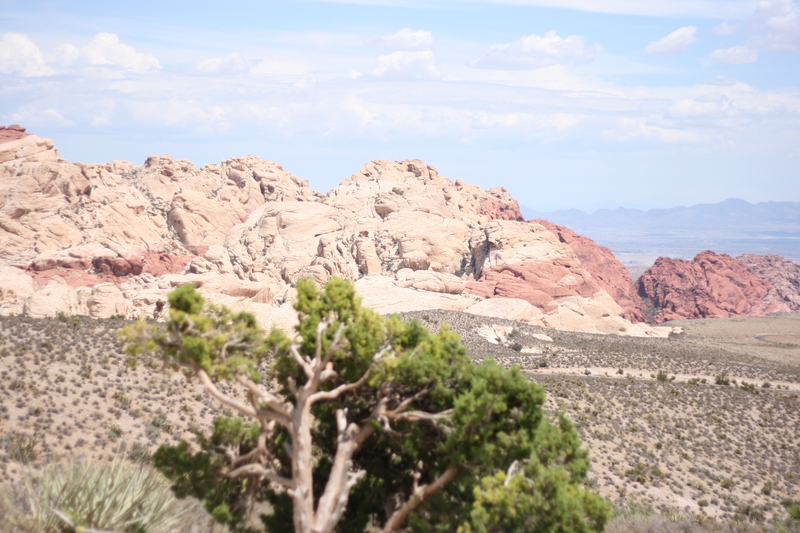 It’s a beautiful place to get away from all the craziness of the strip! Over the next few days you’ll see more posts showing you ways to get away from all the craziness. 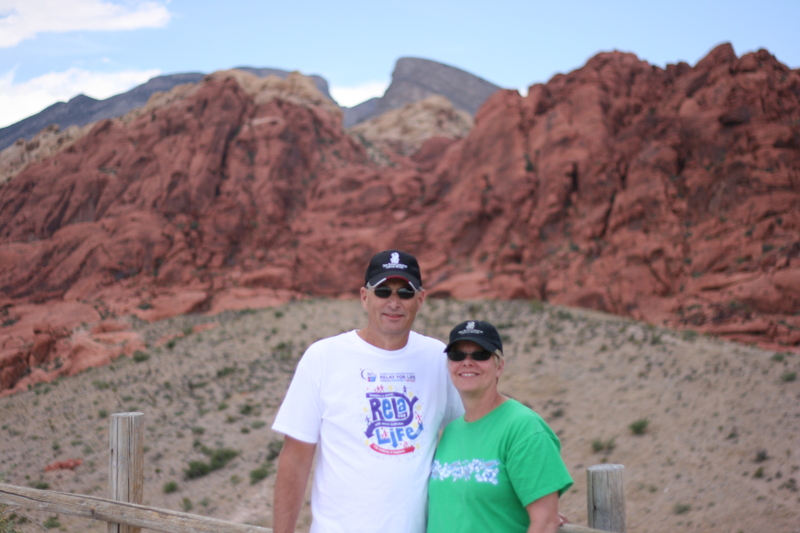 My parents trip made me work hard to figure out things to do since they don’t gamble or drink, which is really what the strip is all about! As you can tell I am switching some things up on my blog. I’ve switched from blogger to wordpress and am trying to figure everything out slowly but surely.